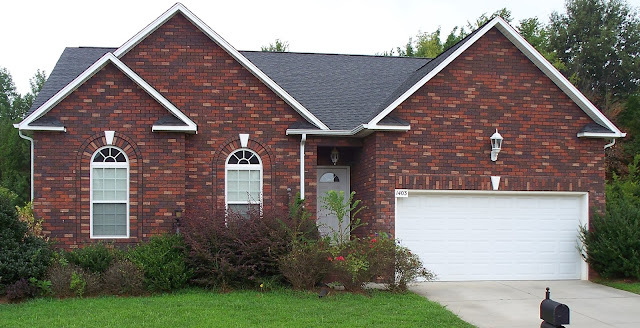 Salisbury, North Carolina Real Estate: Why Buy A Brick Home? 1403 Troon Drive ~ That's Why! Why Buy A Brick Home? 1403 Troon Drive ~ That's Why! Why buy a brick home? Let Greg Rapp show you at 1403 Troon Drive. Nothing else can match the classic beauty and elegance of a brick home. Building with brick says, "You have arrived." But there's more to brick than just looks. The world's most beautiful and most practical homes are built with brick. Brick offers lasting value. It can enhance the resale value of your home by as much as 6 percent. 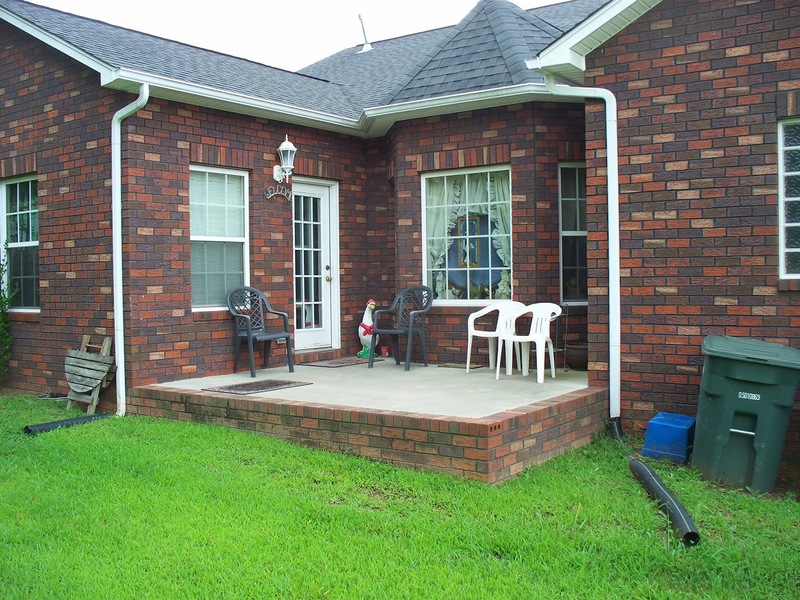 Brick is virtually maintenance free. It doesn't rot, dent, or need to be painted and won't be eaten by termites. 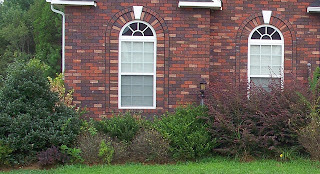 Brick is also energy efficient, keeping you cool in the summer and warm in the winter. In short, brick offers you a combination of advantages not found in any other home building material. 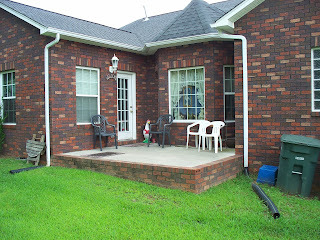 A brick home is virtually maintenance free. Brick is one of the oldest building materials in the world, and one of the reasons it's still so popular is brick's ease of upkeep. Brick never needs painting, never rots, will never be eaten by termites and will never dent or tear. Brick homes built hundreds of years ago still stand today. 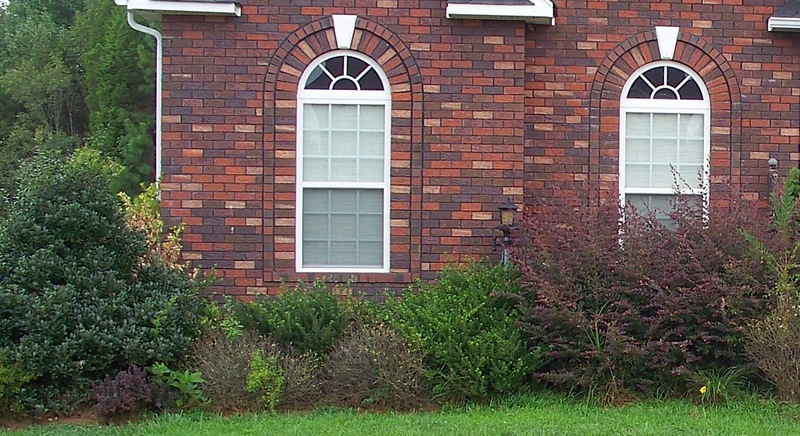 A brick home is far superior in energy efficiency. Brick is a building material that has exceptional "thermal mass" properties. Thermal mass is the ability of a heavy, dense material to store heat and then slowly release it. For you, this means that during the summer months your brick home stays cool during the hottest part of the day. During the winter, brick walls store your home's heat and radiate it back to you. Vinyl, aluminum, wood or EIFS (artificial stucco) are all thin, light building materials that don't have good thermal mass properties. The superior thermal mass qualities of brick have been known for centuries. Even the Pueblo Indians in the Southwest used adobe masonry to moderate weather extremes and keep their homes comfortable. Owning a brick home may even influence your home insurance costs: Brick homes are fire resistant, pest resistant, and weather resistant. 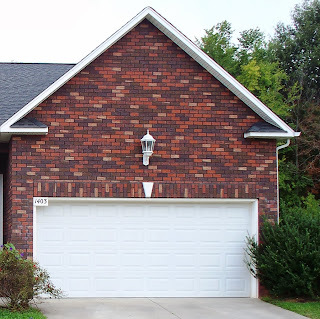 Brick is such a strong and durable building material that your insurance companies may even offer you a discount on your home insurance costs. Check with your agent for more details. So now you are ready to upgrade to that brick home! 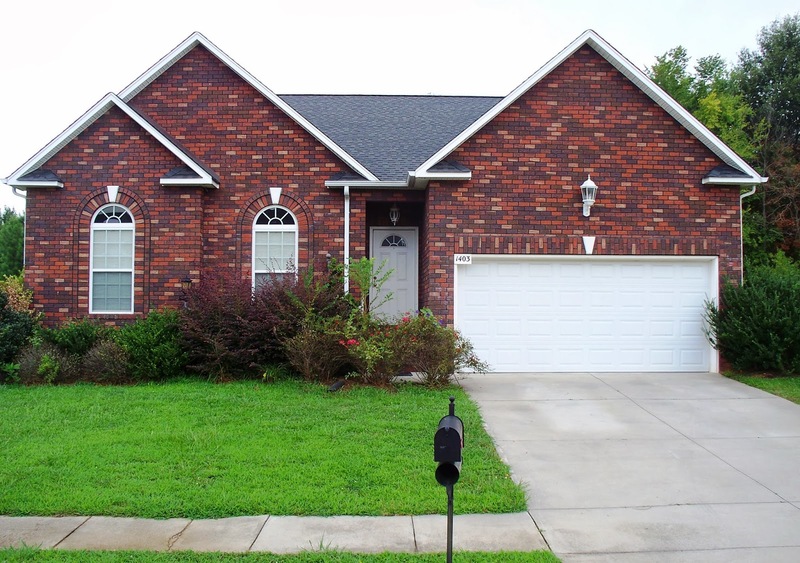 Take a peek at this spacious all brick home at 1403 Troon Drive! Only 7 years old, (you’re hearing nearly new roof, heating and air, and appliances, aren’t you? 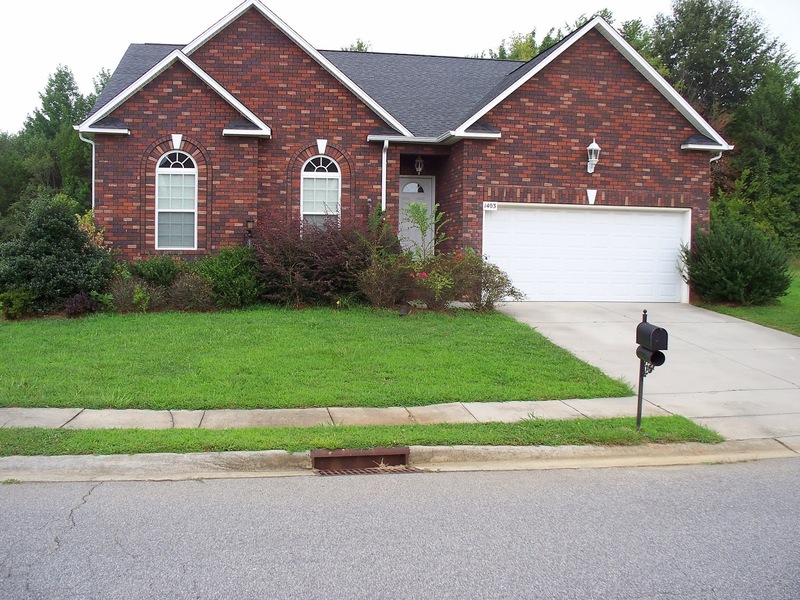 ), this great 3-bedroom/2-bath home, with all the advantages that a brick home brings, has a great floor plan with hardwood floors throughout all the rooms! The long 22’ living room features a gas fireplace in living room, whose arched windows let daylight stream in! The home’s huge master bedroom suite has walk-in closets and large master bath area. A cozy sunroom leads to a small patio at the back yard. The kitchen at 1403 Troon Drive features warm honey-coloured cabinets with great features such as loads of storage cupboards and drawers, a built-in corner wine rack, and plenty of evenly spaced outlets for kitchen appliances. 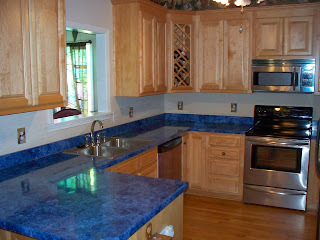 The cobalt blue countertops are especially striking! The curb appeal of the home, above and beyond the deep, rich, multi-coloured brick chosen for its exterior, features triple gables, accenting the arched palladium windows ~ always a nice feature in any home. The double-car attached garage is another attractive component ~ stay dry while you are unloading groceries and protect your vehicle from the elements! And you can't help but note the attractive foundation plantings softening the front landscape with assorted evergreens, the rich mahogany colors of loropetalums bringing out the rich reds in the brick, and blooming shrubs. 1403 Troon Drive is close to the Salisbury’s Novant Rowan Regional Hospital and Interstate 85 (easy travel!) yet the neighborhood has a country feel. This over 1900 square-foot , nearly new home, priced to sell at $205,000, will be a smart investment for years to come. And if and when you decide to move elsewhere, you’ll appreciate the resale value of a brick home like 1403 Troon Drive has to offer. Take a look through this Sunday's real estate section of your local newspaper and read the home listings. Notice how people always list brick as a primary selling point. Brick's beauty and practicality are always a plus when you resell. On average, a brick exterior adds 6% to the resale value of your home. Ready for that new brick home? Contact licensed Realtor® Greg Rapp of Wallace Realty to show you the value of 1403 Troon Drive and all the benefits of a brick home ~ call Greg at 704.213.6846 today for your peek at lasting value, energy efficiency, and virtually no maintenance! 1403 Troon Drive is waiting for YOU!